At Olive Dental Group, we go beyond providing comprehensive general and cosmetic dentistry services by placing an emphasis on creating a positive experience for each of our clients. Our expert dentists and their dedicated team combine experienced diagnosis with treatments to meet your personal goals. We are committed to performing the latest dentistry techniques in a peaceful environment for a pleasant, tranquil appointment. Dr. Bizoumis has a Pediatric Dentistry Certificate from the University of Southern California and is now a clinical professor there. He is a member of the Orange County Dental Society, California Dental Society, American Dental Association, California Society of Pediatric Dentistry (CSPD) and the American Academy of Pediatric Dentistry (AAPD). He also has hospital training at Rancho Los Amigos (R.L.A.) Medical Center and has been practicing since 1988. He holds a special place in his heart for children, so he has devoted his entire practice to them. Gentle and caring dentistry for our future's brightest smiles...That's his greatest reward! Dr. Chau began his career as an orthodontist by completing a rigorous orthodontic education. 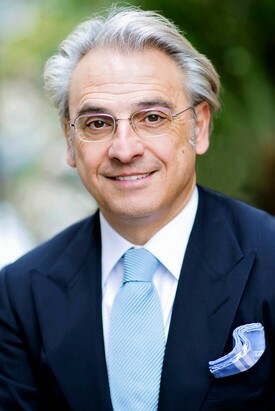 He believes education and the desire to be a continual learner is essential in life at the office and home. Dr. Chau is a member of several prestigious orthodontic and dental organizations that provide him with opportunities for continuing education. 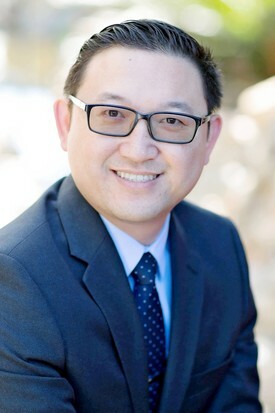 Dr. Chau was born and raised in Southern California and enjoys spending time with his family and friends. Dr. Chau enjoys playing basketball, exercising at home and the gym, and watching movies. He is a big sports fan of the California Golden Bears, UCLA Bruins, and the Los Angeles Lakers. After graduating from the University of California Davis with a B.S. in Genetics, Dr. Schmidt attended the UCLA Dental School and attained his degree in Doctor of Dental Surgery. 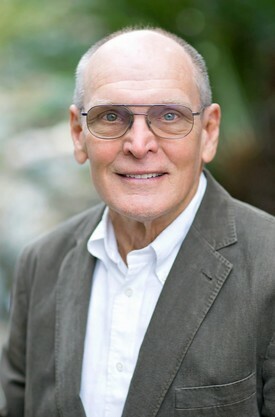 Dr. Schmidt has practiced cosmetic and general dentistry at his Huntington Beach office location for more than 35 years. His calming chairside manner and thorough, thoughtful approach to treatment has benefited three generations of patients. His patient-centered method starts with listening carefully to the needs of each individual and continues with attention to comfort and details during procedures. Dr. Schmidt is committed to using the right solutions and technology (including nitrous oxide for anxious patients) to create treatments designed to enhance each patient’s smile in relaxed and pleasant surroundings. Outside of the office, Dr. Schmidt enjoys traveling with his wife & family, running at the beach, & working in his vineyard, Cocavin, in Paso Robles.